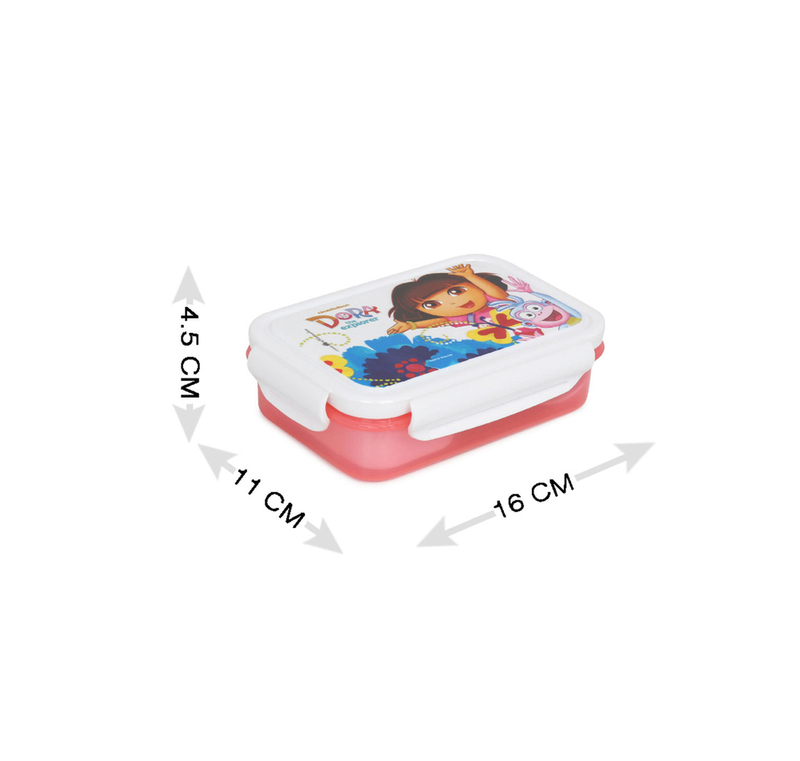 Pack a sandwich, cookies or pastry; the Dora small square lunch box is perfect for a small snack. The plastic lunch box comes with a small box inside it. Compact enough to carry it easily and big enough to fill your stomach with a small snack. Let your kid take it anywhere, anytime – to the school, picnic or when you’re on the road. And when it’s birthday party time, it can become a lovely return gift for all the kids.